Hello again to all my Jazz friends in the Coachella Valley! My winter Jazz season has started and it's appropriate that it started at the Tuesday Jazz session at Backstreet Bistro. 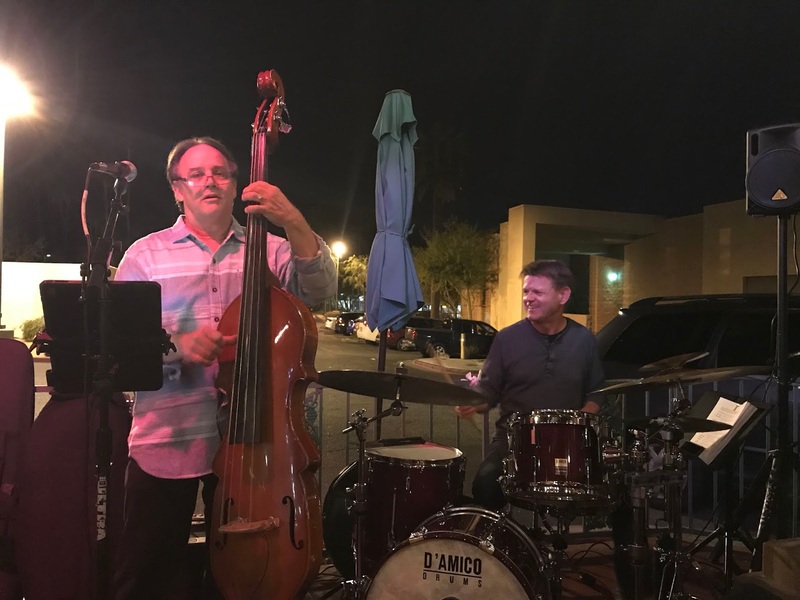 Tuesdays at Backstreet Bistro have been a Desert Jazz lover's staple. The outdoor setting on the patio is informal and intimate. For me, I try to get there early so I can sit right next to the musical group. As a former musician, it brings me back to my playing days! Each week Bass player, Bill Saitta, schedules different Desert-favorite musicians who have their chance to show us their musical chops. 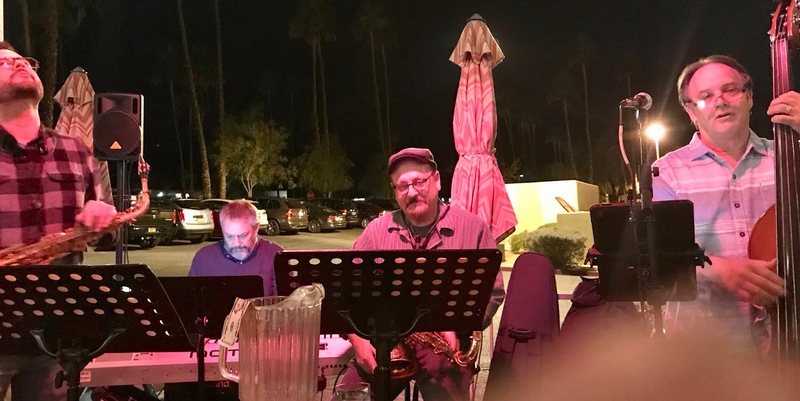 Tonight, Sax player extraordinaire Craig Yancey had three wonderful musicians, Bill Saitta on Bass, Mark Ferguson on Keys, Jeff Olson on Drums and Craig's son, Niles on Alto Sax to join him. I heard Niles Yancey perform before but it was clear tonight that he had advanced to the point where he can hold his own next to the most experienced Jazz players. Craig Yancey has a natural love of music and Jazz in particular and he enjoys playing as much as his audience enjoys hearing him. Bill Saitta was impressive on Bass and also sang a few songs that have become audience favorites. Jeff Olson was on Drums and it was a pleasure hearing him again. I like to say that Jeff Olson has the softest hands in the West. His drumming is always right on target for the group he is playing for. I found a short "YouTube" of the group that was recorded and published in July of 2017 that I think you will enjoy. It contains a major drum solo by Jeff Olson.